When you first start your CA course, it's important to get into good study habits as early as possible. Here are five ways to study smarter. These will help you get the most from your study time and give you the best possible shot at passing your exams. Although studying for the CA is tough, you don't need to spend every waking hour chained to your desk. That's not going to be productive, or healthy. The way you study for the CA is quite different to the way many of us studied at Uni. At Uni you probably had to go off and do a fair bit of your own reading and research, bringing together other peoples' ideas in a logical way. Now, it's not expected that you need to re-write your notes or do masses of additional reading. The material has been written for you to use as your main study source. Of course, you can write short summaries if that helps you understand the material that's been covered in class. Ideally you should start by splitting your time 50:50 between developing your core understanding of each subject, and working on practice questions. Well, you'd be surprised at how many people don't get into the habit of using the practice questions as often as they should be. The practice questions help you apply the knowledge you've learned in class. It's not a case of needing to know all the material first before attempting the practice questions. Tutors recommend that you do some open book question practice with your course notes alongside to begin with. This builds up your confidence and gets you familiar with the question format. Over time, you should aim to work through the questions without relying on your notes. Don't miss: Look out for a follow up article on using practice questions by Steph Jenkins from the tutor team. Don't be disheartened if things don't seem to fall into place right away. It is totally OK to get things wrong when you are just starting out. Take some time to review your errors. The mistakes that come up in the practice questions will stand you in good stead for the final exam. Not only will they stick in your mind and help you change your approach for the better, you'll also have knowledge of your weak spots and can use this to your advantage. A word of warning though – if you do get questions right first time, resist the temptation to assume that you know everything and skip ahead. Ensure you've got a firm understanding of why the question is right and the correct approach to follow for answering the question correctly, as you are unlikely to be asked exactly the same question again. Remember that your tutors are available to provide help and support with practice questions. You can call or email them directly, or contact them via the discussion forums on myCABLE. The teaching schedule for the CA course is well defined, so you can plan your study time in line with upcoming progress tests, mock exams and final exams. Set yourself clear, achievable targets and break things down into bites sized chunks so you know what you'll be studying and when. Tip: The progress tests are designed to help you consolidate what you've learnt ahead of the mock and final exams. They are done under exam conditions. Try to view them as a bit of a bonus, as they'll give you a taste of what the real exam will be like, and hopefully help to reduce anxiety around what to expect on the day. Finding a good balance between your work, study and down time helps you become more resilient and better able to cope with stress and pressure. Just a few simple changes can make all the difference when it comes to lifting your mood and helping you feel more in control of your studying. Take a break. Your mind needs a break from studying. Downing tools for a while helps you to come back to things refreshed and focused. Take regular exercise. Even if it's just a quick walk at lunch time, getting some fresh air and a change of scene is a great idea. Get enough sleep. A lack of sleep can leave you prone to stress. Things can feel ten times worse when we're tired. What's more, research from the National Sleep Foundation shows that that it affects our ability to pay attention and remember new information. Stay positive. If you are feeling overwhelmed or worried it's important to talk about it. Seek support from fellow students and do talk to your tutors. They have been there too and will be able to offer help and support. 8 April 2019: TPE prize winners and how you can be one! We would like to congratulate the recently-announced 2018/19 ICAS Prizewinners! We spoke to previous winners about their advice on how to reach for success - it has great guidance! Do you have any tips you would like to share with fellow students? Contact us at studentblog@icas.com or message @ICAS_students on Twitter. In today's blog, we bust the business jargon you may encounter, as well as tackling the incorrect phrases and words that are commonly used. Speaking of communication, we highlight why it's important to keep all talk about work behind closed doors. We also look at tips to achieve career aspirations, what TC Finance can teach you about the lottery and why the CA qualification is perfectly suited for millennials. Every once in a while, we are all guilty of a bit of malapropism. This simply translates as using an incorrect word that sounds similar to the one you intended. In your job and your studies, you are likely to be confronted with some sort of jargon, acronym or specialised contractions that are pertinent to your role. We’ve produced our own glossary of ICAS abbreviations but what about the rest of it? Follow us into the world of murky linguistics. A relaxed train journey is the perfect opportunity to get some work done or catch up with colleagues. But do you think about it as a public place that risks business confidentiality? If you've recently qualified, you may be wondering what's next. Gillian Donaldson at Rutherford Cross shares her top tips for newly-qualified professionals. In Module 2 of TC Finance, a lot of time was spent learning about present value and financial arithmetic, which was useful knowledge for this lottery winner! Generation Y / Millennial CAs: Who are they? In the first of a short series on Generation Y in the accountancy field, self-confessed Millennial, Alex Burden, reports on who this generation are, where the myths lie, and why the CA qualification is suited to this highly-skilled and adaptive generation. The revamped 'Newly qualified members' section of the website is now live. The value of your ICAS membership goes beyond our reputation or the prestigious letters after your name. We’re here to support you throughout your lifetime as a CA and we look forward to working together with you, wherever that journey may take you. As a member of ICAS, we will continue to support you with a fantastic range of services and benefits. We’ll inspire you to continue learning throughout your career and no matter where you are, we’ll connect you to like-minded people. If you have any questions as a newly-qualified member and where you should direct any queries, get in touch at studentblog@icas.com or message @ICAS_students on Twitter. In today's blog, we look ahead to how to craft a five-year plan for your career, and advice on how to prepare for a new role (great advice for your entire working life!). Newly-qualified members can get professional development advice on what to consider when planning a future career, and our students sitting TPE can benefit from our articles on how to improve your commercial awareness and better business writing. Finally, TC Finance students can listen to a BBC podcast on financial derivatives - handy for module 14! Following on from our guide to one-year career goals, this guide to a five-year plan will help you think longer-term to elements such as promotions, job changes and deciding on a specialism. During block one of TPE classes, we introduced you to commercial awareness as part of your studies. This is a key requirement of a good and competent CA in order to provide value-added business advice. Here are five quick-fire tips on how to be commercially aware. As the ICAS Admission Ceremony 2018 draws closer, you may be anticipating taking on a new role or more responsibility within your organisation as a fully-fledged CA. We've put together advice to help you prepare. A successful CA must have excellent communication skills: one of our TPE examiners looks at how better business writing can improve your performance in the TPE exam. If you gave someone a sum of money, and they agreed to pay you a larger one should a certain outcome happen in the future, you may be forgiven for thinking you're gambling. In fact, you're getting insurance, as discussed in TC Finance. Accountants face career decisions at every stage of their professional lives and for newly qualified accountants figuring out the next steps can be daunting. We are pleased to announce that some of our TPE students have now completed their studying and training contract and were admitted to membership on Saturday 23rd! You will still be receiving student blog emails as you transition to full member, so we thought we'd take this opportunity to impart some advice before you stop receiving the student blog. And we will still be here with our useful back to basics articles, for example, if you ever needed to dip back into the student blog for info. In today's blog, we focus on how to make that leap from CA trainee to full member, by asking 'what's next' after finishing your training contract, and how to build your first-year career plan or use CPD to advance your skills even more. We also look at the second part of our series on dealing with office politics, and have a reminder on how to make the most of your TPE feedback. If you were unable to attend the Edinburgh Admission Ceremony, there is still a chance to attend the London Celebration in April. What do you want to achieve in the next year? A promotion? A pay rise? Maybe you want to do better in your studies or if you've just completed the qualification? Our infographic could shine a light on the way forward. Finishing your training contract - what's next? When your training contract draws to a close, the transition away from 'student' can be daunting and exciting in equal measure. What can you expect from your professional life as a fully-qualified CA? As a CA, you will be expected to keep your knowledge and professional standards up to date. But how do you get started in taking charge of your own development and setting the goals that will boost your career? In the second part of our how-to feature on dealing with office politics, we look at the importance of networking, relationships and the value of mistakes for effective working styles with colleagues. TPE Level Controller, Catherine Devaney, helps you achieve value in the TPE feedback sessions. 18 March: New direction for UK audit? The Financial Reporting Council (FRC) will be superseded by a new authority as a result of a comprehensive Independent Review led by Sir John Kingman. What does this mean for UK auditors and accountancy firms? The new body, in contrast to the FRC, will be able to make direct changed to accounts, rather than applying to court, and will directly regulate the big audit firms. A new board is intended to 'change the culture and rebuild respect of those it regulates', and will set out a strategic direction in the public interest by holding companies to account. Secretary of State for Business, Energy and Industrial Strategy Greg Clark said: "This new body will build on our status as a great place to do business and will form an important part of strengthened public trust in businesses and the regulations that govern them. I am most grateful to Sir John Kingman for his work in this area. "Taken together with the CMA’s market study and Sir Donald Brydon’s review of audit quality and effectiveness, they will enable us to deliver a major set of reforms on the regulation of company audit, accounting and reporting." Know a CA attending today's admission ceremony and want to congratulate them? Tweet congratulatory message using the tag #ICASclassof2019 between 9.30am and 1.30pm! You can also tell us about your experience of attending the ceremony and advice for future or current CA students by messaging us @ICAS_students or email studentblog@icas.com. In today's blog, we help you prepare for the tricky world of office politics, and to spot false economies. For those who have just qualified and will be completing their training contract, we examine the benefits of big and small accountancy firms, as well as 21 email etiquette tips for professionalism. Finally, as TC classes are about to start in April, we look at how to make the transition from university-style learning to the first year of ICAS. TC Level Controller, Joanne Lloyd-Jones introduces the TC level for new students and discusses how to navigate the course to your best advantage. Using email might seem like the most straightforward of communications, but there are pitfalls - here are 21 tips to always be impressive on email. Hackers and cybercriminals can take down servers, prevent business deals, increase costs, destroy data, or even sell it to the highest bidder. We have guidance on how to be a great gatekeeper of business data. Many young people find themselves unprepared for office politics, according to a 2016 study by the Co-op. A surprisingly high 54% of those surveyed said that they were not prepared for, or as informed as they would like to be, about how to deal with office politics in the workplace. How do you spot the false economies? Ever get the feeling you've been had? Always counting the last pennies in your pocket? You might have fallen into the trap of a false economy. We'll show you what to look out for and what to avoid! The ICAS tutor team report on the different advantages of working in big versus smaller accountancy firms. Whether you are about to embark on CA training and trying to choose your training contract firm, need to switch firms during your contract due to exam failure, or are seeking your possibilities once qualified, this guidance outlines the benefits that can be gained from both size of firms. This week is your last chance to enter the Top Young CAs 2019 or nominate a Young CA you admire. Even if you aren't eligible just yet, read this advice from 2018 One Young CA Michael Scott, who will be speaking at this year's Admission Ceremony. How has your career evolved since being named One Young CA? I have made the move from practice into industry and am now Group Financial Controller at DPS Group. Although this progression was an inevitable career goal for me, the experience of entering One Young CA and Top 100 Young CAs 2018 instilled in me a greater level of confidence and self-belief. I was more willing to accept new and greater challenges, tackling them head-on with enthusiasm and conviction. Why are you Proud to be a CA? Primarily, it was just an incredibly difficult qualification to obtain. There is no question that the robust training, comprehensive coursework and the experience obtained in practice is a fantastic foundation for a very successful career. The opportunity is there to progress into a diverse range of roles in business and organisations, but this was accompanied by stress, late nights, sheer determination and a lot of coffee. Moreover, to be a part of the global CA community, which is well recognised and highly respected, is a privilege. I have encountered CAs who, within their respective organisations, charities and businesses are leading initiatives, driving equality and facilitating real change. Do you have any advice for aspiring Young CAs? I am delighted knowing that in addition to the high ethical standards, professional competence and technical ability expected from ICAS members, there is also a growing emphasis on social awareness, charitable causes and community spirit. Use your highly respected and recognised qualification for good. By all means, go out, develop your career, be successful - but at the same time do something that makes a change, no matter how small. Give a little back. What do you want to see from the next One Young CA? Tell us @ICAS_students or email studentblog@icas.com. In this week's blog, we ask you to think about your 'fear of missing out', go back to basics on share matching and director responsibility and share a video on CA ethics. We also have a reminder about what you need to do before the 2019 ICAS Admission Ceremony and how to keep your details up-to-date with us. 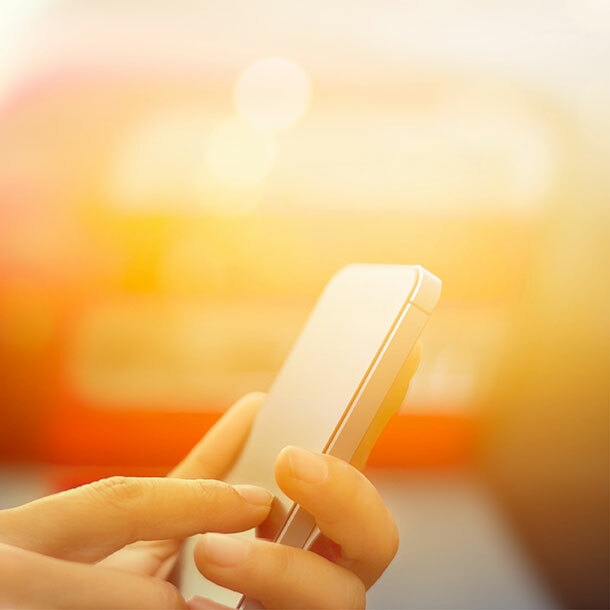 A Deloitte study showed that one-third of UK adults check their smartphone during the night, prompting questions over the extent of ‘FOMO’ amongst under 34s and the knock-on effects. In the run-up to the end of the tax year, many individuals may be considering realising capital gains to make use of their 2018/19 annual allowance of £11,700. Here is an overview from the CA Principles of Taxation course. We have started our countdown to the 2019 ICAS Admission Ceremony, held on 23 March in Edinburgh, and with less than two weeks to go it's time to checklist entry requirements! 'Ethics is at the heart of being a CA' (41 seconds), examines why ethical behaviour is intrinsic to chartered accountancy, and how to apply it. It includes a handy reminder on the ethical declaration you will make at the Admission Ceremony. Business Law is relevant throughout the CA qualification as well as your post-qualification career. Use our mnemonic to get back to basics on director responsibility, as explained by Chris Cunnane, Lecturer. Use our handy infographic to make sure you can get in touch with us and aren't missing out on vital communications. Two giants of the UK retail scene have hit a roadblock in their plans to merge. However, is the Competition and Markets Authority (CMA) right to worry about a coupling of Sainsbury's and Asda? Provisional findings of the CMA investigation into a potential merger between the supermarkets have raised significant concerns regarding the knock-on effect for consumers. Stuart McIntosh, leader of the independent inquiry group, said: "These are two of the biggest supermarkets in the UK, with millions of people purchasing their products and services every day. We have provisionally found that, should the two merge, shoppers could face higher prices, reduced quality and choice, and a poorer overall shopping experience across the UK. We also have concerns that prices could rise at a large number of their petrol stations." Addressing the issues raised at the start of the investigation last year, Sainsbury's CEO Mike Coupe asserted that the prices of popular food products would, in fact, drop by up to 10% should the merger go ahead and dismissed the idea of in-store job losses or closures. Currently, there are numerous locations across the UK where the catchment areas of Sainsbury's and Asda already overlap and the impact of a tie-up would be keenly felt on both a national and local level. A successful deal would position the resultant company as the largest supermarket chain in the UK, overtaking market competitor Tesco and totalling an estimated £50bn in annual sales. While the supermarkets now have the opportunity to present their own responses to this analysis, the wider sector seems largely sceptical of a convincing argument. The sale of assets and stores to reduce the overall market share of a merged company has been suggested as the most obvious way to allay the CMA's concerns. However, these hypotheticals have led worker unions to seek reassurances for existing staff and supply chain providers point to the potential loss of business in what will be an already tense post-Brexit environment. Case studies like this are great for improving your commercial awareness at TPE. Would a Sainsbury's-Asda merger give one brand too much power? Let us know your opinion on Twitter @ICAS_students or email studentblog@icas.com. In today's blog, we find out the quick way to remember accounting dates throughout the year, investigate why chocolate puns are helpful for TPE and TC students, and discover ways to learn in a large classroom. We have a chortle at the weirdest expense claims sent to HMRC, and hear about Calum A. McDonald's journey from student to ICAS lecturer. And ahead of International Women's Day on 8 March, we look back at everyday sexism in finance and the double standards. 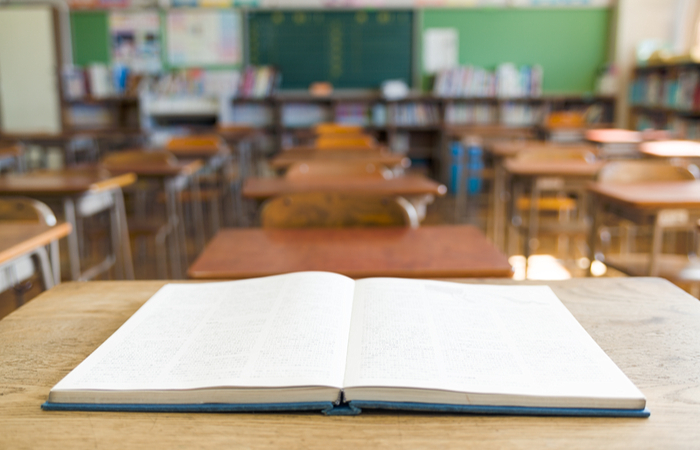 Our class sizes vary throughout the country, but each individual is sure to have a preferred learning style and setting to make the most out of their time - here are our tips for taking on any learning environment, whether it's with ICAS or in-house company training. Don’t let yourself down with dates - knowing the number of days in each month is essential for picking the correct accounting period. All publicity is good publicity” – it’s a phrase that’s often used, but it doesn’t always hold true. Find out why chocolate puns and product recall are important to TC and TPE students. Imagine being unable to apply for a loan or hire purchase agreement without finding a husband or gaining the signature of a male relative, first. Ahead of International Women's Day on 8 March, we look back to dubious practices of the last 50 years. January saw the self-assessment deadline come to pass and HMRC, perhaps fearing the worst, decided to share some of the rather odd claims and excuses for missing the deadline. What other accountancy-themed publications do you stay up to date with? We're taking a look at AccountingWeb this week, and the recent articles you may have missed but deserve a read. Neil Warren's piece on VAT: Ten quirks of the flat rate scheme, looks at the 'pitfalls' of using flat rate scheme (FRS) for small businesses, including the fact that a business can withdraw from FRS at any time. There's also a fascinating piece on Harry Potter actor, Rupert Grint, and how he landed in hot water after trying to change an accounting date to avoid a higher tax rate, and Damon Anderson on why making tax digital is an 'opportunity for firms and their clients'. Meredith McCammond goes over the new loan charge which takes effect on 5 April 2019, and Philip Fisher gives advice on how businesses should be talking about Brexit with their clients to ensure they are adequately advised and the relationship is sustained. What other resources do you recommend (apart from the CA Student Blog!)? Get in touch at @ICAS_students or email studentblog@icas.com. In today's blog, we find out how to make the most of your TPE Feedback sessions, and get back to basics on partial exemption for allocating residual input tax for a business. We have the key to effective case study answers and three ways to study and work at home, rounded off with an examination of the new deemed domicile provisions in tax and six tips for presenting financial data. 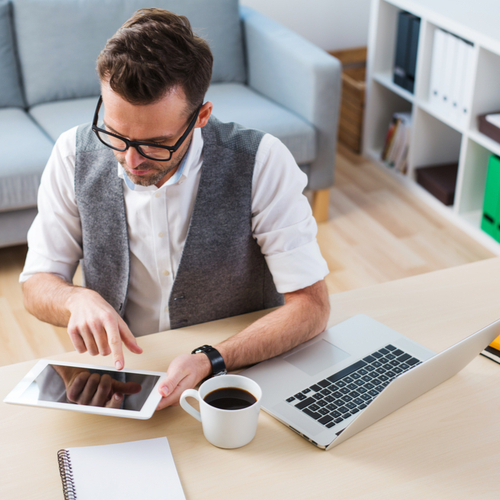 myCABLE days and flexible working policies can mean you get to stay at home to work. On paper it sounds great - no dress code, early commute or unfulfilling sandwich at lunchtime - but how do you stay focused outside of a class or office environment? Whether you are just starting out in your training contract, or have a bit more experience, presenting financial data to others will be part of your role. Here's how to present data in a clear and concise manner for clients and employers. Answering a case study can seem intimidating to many TPE students, especially under the pressures of an exam. Follow our four-step guide to producing a great case study answer. 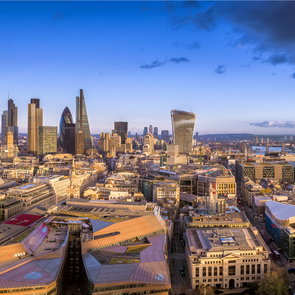 Domicile is one of the determinants of an individual’s liability to UK tax. As of 6 April 2017, new provisions relating to ‘deemed domicile’ came into effect. This article looks at the concept of domicile, the new deemed domicile rules and how domicile can affect an individual’s tax liability. 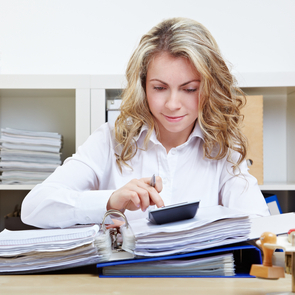 Do you know how to allocate residual input tax for a business? We get back to basics on calculating partial exemption for TPS level. The search for the ICAS Top 100 Young CAs 2019 is now underway. Could you be the next One Young CA? All CAs aged 35 or under are eligible for the competition, regardless of industry or location. We are also accepting entries from CA students who are due to be admitted to membership before 30 May 2019. You can nominate yourself or submit an entry on behalf of a Young CA you know. Nominations are open until 15 March 2019 and winners will be announced in July 2019. A further judging process will then commence to select this year's One Young CA, who will be announced in September 2019. How do you think Technology, Trust and Talent are going to be key issues for future CAs? Share your thoughts @ICAS_students or email .studentblog@icas.com. In today's blog we look at the five steps for sitting mocks and advise on how to get the best out of myCABLE. Business law is tackled with a look at the notice period conundrum and we look at how auditing made it to the Oscars ahead of the event on Sunday. IFRS 16, Leases, is now applicable for all businesses - find out what the standard replaced and why, and learn about why a ship with beetles has lessons for TC BM, TPS Afin and TPE students. Mock exams and progress tests are a key indicator of how well you understand and can communicate the material in your course. Ahead of the real exam, make sure you are using these opportunities to achieve your full potential. Working with myCABLE is integral to your CA studies but could you be using its resources more effectively? Your tutors share their top tips for making the most of myCABLE. A notice period conundrum cropped up for one of our students, so our Business Law tutor Amanda McKenzie is on hand with the answers. If you thought you needed perfect memory skills to retain all that great chartered accountancy knowledge, just think of what goes into the voting process of the world's biggest awards show. From 1 January 2019, the long-awaited accounting standard on leases, IFRS 16, became mandatory and therefore replaced IAS 17. Why did 'stink beetles' from East Asia potentially cost thousands of jobs in the car industry in New Zealand? We can analyse this somewhat bizarre business situation from the perspectives of TC BM, TPS Afin and TPE. It's a fact of life that some of our talented trainee CAs will fail their exams at some point. However, there is a solution even if you reach the end of your current training contract. If you have failed a recent TPS exam you are probably feeling quite despondent right now, but please remember that a number of students fail at least one exam and the vast majority still go on to become a CA. One of the first things you need to do is speak to your firm about your results. Some firms have particular policies in place about when you should be resitting. Speak to your training principal as soon as possible to understand their expectations. If you and your firm decide you cannot continue your training contract, but you wish to continue your studies, please get in touch with Allison McEleney (amceleney@icas.com) to discuss your options - there may be an opportunity to continue your training contract with a different firm in these circumstances. In the meantime, we have a great article explaining what you need to know about TPS resits. Remember, if you have a query relating to your studies you can always talk to a tutor, but if you're not sure where to direct your query, get in touch at studentblog@icas.com or @ICAS_students. In this week's blog, we start the countdown to the 2019 Admission Ceremony - there are five weeks to go, so find out what you need to arrange before you attend and enjoy the festivities (and the all-important admission to membership of course!). We also continue our back to basics on materiality with an examination of thresholds to be applied, and ask what makes a good business plan for TC finance and business management students. There's a fun spotlight on the numbers behind Valentine's Day, and we find out what constitutes a conflict of interest - a great ethical reflection. Finally, you have to absorb a lot of information as a CA Student and during your firm's training contract, so we address the best methodologies to tackle information overload. 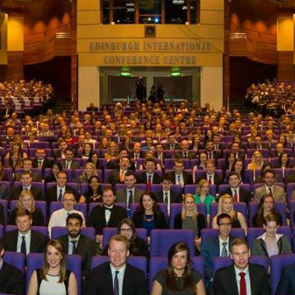 We have started our countdown to the 2019 ICAS Admission Ceremony, held on 23 March in Edinburgh, and with just over a month to go it's time to checklist entry requirements! 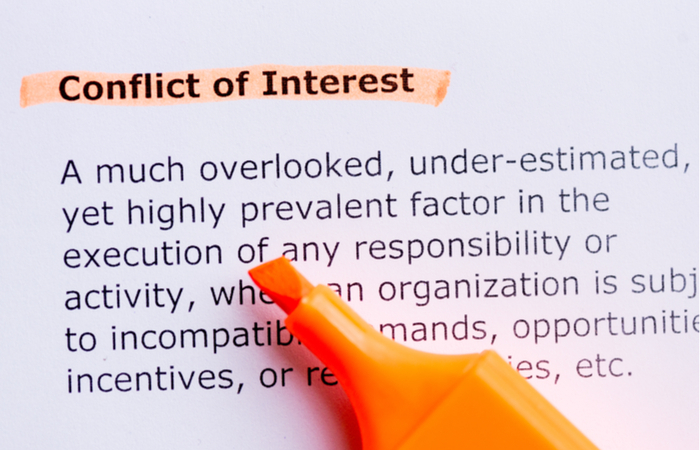 A clash between personal priorities and public or professional duty is known as a 'conflict of interest' (COI) and can have serious ethical implications for CAs. Are you comfortable with the basics of establishing materiality in audits? In the conclusion of our Materiality Back to Basics articles, we look at other thresholds used during the course of the audit engagement. Business plans can be difficult to understand, especially for those unaccustomed to the format. We identify what makes a good business plan with reference to TC Finance and Business Management. Do you have trouble remembering what you have studied after a long day of hitting the books? Is keeping track of your workload becoming overwhelming? You may be suffering from information overload. 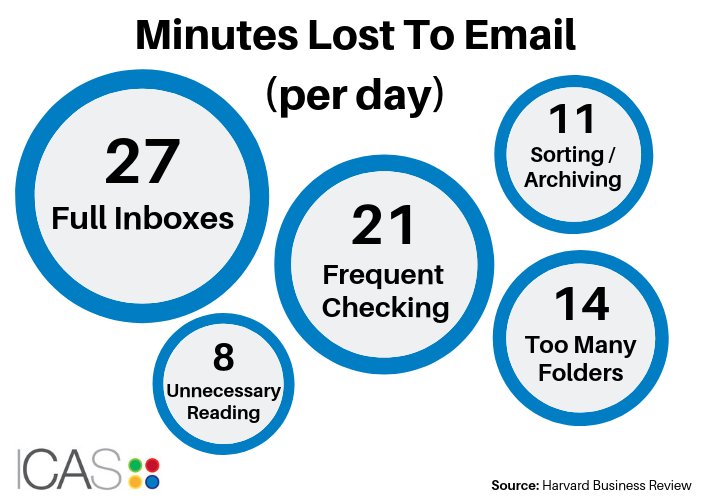 How much of your day do you spend reading, writing, sorting and deleting emails? The Harvard Business Review has figured out the biggest drains on time. Full inboxes are the biggest email time-waster, according to research from Zarvana and the Harvard Business Review. A backlog of unread missives enables several email bad habits: reply procrastination, thread build-up, manual scrolling and re-reading old information. However, even if you're always on top of marking things as 'read' and sorting your email away into organised folders, it's likely you're still spending way too much time on those tasks. Over-checking email is the next biggest time-waster at 21 minutes, followed by archiving messages into niche categories. The latter practice, while useful to a certain extent, can make things hard to locate if taken too far and also eats up the time spent creating, naming and filling endless sub-folders. Manually moving your emails around can account for 11 minutes a day. Finally, reading unimportant and irrelevant emails can chip away eight minutes from your busy schedule. Want to claim back your day? Read our tips for getting your inbox under control and becoming a guru of email management. Do you think email is a drain on your productivity? Tell us what you think @ICAS_students [or email us directly studentblog@icas.com!]. This week, we take a look at the five things you need on your desk at work or home, what you can do to avoid bad habits as a future leader, and what to consider when saving for your first home. We also share some advice for those of you advancing from TC to TPS and go back to basics on audit risk for PAR. Elizabeth Lyle, Partner and Managing Director of The Boston Consulting Group, explains why potential leaders need to change now. First-time buyers are saving for longer to afford their deposit, and with rising prices, we offer advice on how to get started. TPS Level Controller Lauren O’Brien answers your questions on how the TPS stage varies from TC, and how to make the most out of the level. 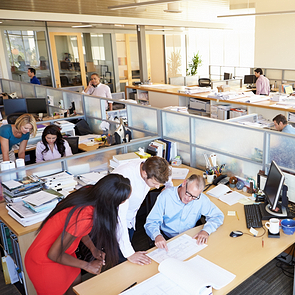 Can a few small changes to your desk improve your productivity? Browse our infographic for ideas to brighten up your workspace and keep your mind on track. Have you got to grips with the Principles of Audit and Reporting (PAR)? Anna Cameron takes us back to basics on audit risks to make sure you’re on PAR for success! ICAS tutors have put together a series of Back to Basics guides, infographics and support material on TPS subjects. They are a great place to start if your question practice has flagged up areas that you need a firmer grounding.